The Canon T6s is Canon’s top tier Rebel DSLR. 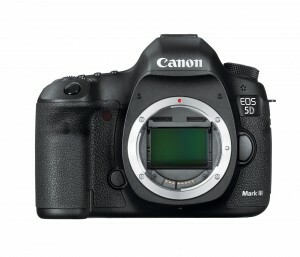 It features a 24.2 MP APS-C sized sensor with expanded ISO to 25600. Made for both photo and video, the camera shoots 1080p30, 1080p24, and 720p60. The T6s is an upgrade over the T6i, adding a top display, control dial, and horizon level. The Canon T6s also supports WiFi connection. Our Canon T6s rental comes with a charger, 2 batteries, and a 64GB SD card. This camera accepts EF and EF-S lenses. If you’re not sure where to start, we think the Canon 17-55mm f/2.8 IS lens is a good choice for most shooters. We suggest reserving your DSLR rental early, since they tend to rent out quickly. If you need to rent a HD camcorder with tripod, wireless lapel microphone, and all the accessories, our HD camcorder event kit is the perfect option! The Panasonic HC-V770 is our most popular camera for people new to shooting video. With plenty of smart auto features, it’s easy to get great video and sound on a budget. It’s the perfect choice for recording events, presentations, even sports and wildlife! If you just need the camcorder, we also rent the Panasonic HC-V770 by itself. The event kit adds a video tripod, a wireless clip-on or handheld microphone, headphones, and extra storage for hours and hours of recording. That’s in addition to the camcorder, a shoulder bag, two batteries, a charger, AC power adapter, USB cable, Micro HDMI cable, and a 32GB SD card. 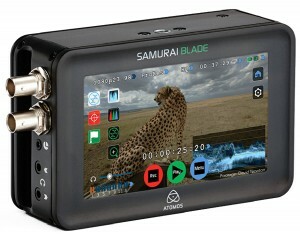 The Atomos Samurai Blade is a HD-SDI recorder and 5″ field monitor in one powerful unit. We rent the recorder/monitor with a 240GB SSD in an Atomos caddy, a USB 3.0 dock, 3′ HD-SDI cable, one NP-F series battery, an AC power adapter, and a magic arm. The Samurai Blade lets you record in resolutions up to 1080p30/1080i60 to ProRes HQ, 422, or LT, or Avid DNxHD, all while monitoring on the 1280×720 5″ IPS display. The touchscreen monitor can display waveform, vectorscope, luma parade, RGB, focus peaking, zebra, and false color. It also supports conversion for Canon’s C-log to Rec709, making it a perfect companion to a Canon C100 or C300. The Samurai Blade is also a great option for generating proxy files, with timecode and record start-stop over SDI. 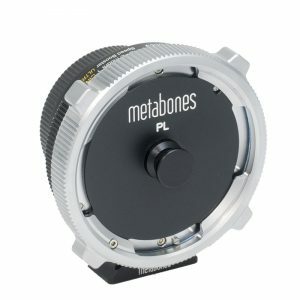 The Metabones PL to E Mount Adapter will connect any PL cinema lens to any Sony E mount camera. The adapter has no electronic contacts, and all lens features must be controlled manually. The adapter will work with full frame as well as Super 35mm lenses, but you should confirm that your lenses’ imaging circle will cover your camera’s sensor. This adapter pairs very well with our Anamorphic Lens Set and Sony FS7. 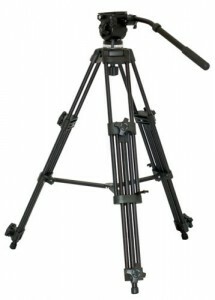 We have a few different models of video tripods in the budget category, mostly made by Manfrotto and VariZoom. They all include a fluid head and pan handle, required for smooth pans and tilts in video. Each budget video tripod has a standard 1/4″ tripod screw, quick release plate, and adjustable legs. You can test out the available budget video tripods when you come to pick up your rental, and choose the one that best suits your needs. All of the video tripods in the budget category are ideally suited to DSLRs and other cameras up to about 7 pounds. The Canon 5D mark III is the only DSLR that supports uncompressed 14-bit raw video recording in 1080p24, through the use of Magic Lantern. It also offers uncompressed 4:2:2 output over HDMI. For video shooters using DSLRs, the 5D mk III builds on the legacy of the 5D mk II, with an updated sensor for reduced moire and improved low-light performance, timecode support, and a headphone jack. 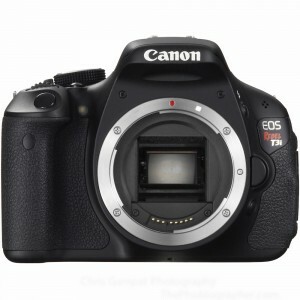 This Canon DSLR also records .mov files in IPB or all-I compression. Oh yeah, it’s a pretty awesome stills camera, too, with some of the most advanced autofocus features available in any camera today. This camera accepts EF lenses, not included. We include three batteries, a charger, and 64GB of Compact Flash storage, and will install Magic Lantern for free by request. The Sony EX3 camera is an incredibly popular renter for shooting presentations, events, and documentary-style work. 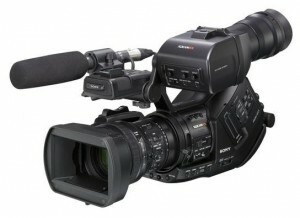 It uses Sony’s XDCAM-EX intraframe codec for broadcast quality video in a reasonable file size. It is ergonomically designed for shoulder mounted use, or can be used with a tripod. We include the standard Fujinon 5.8-81.2mm f/1.9 lens. The EX3 also supports over and undercranking, for slow motion and timelapse effects. 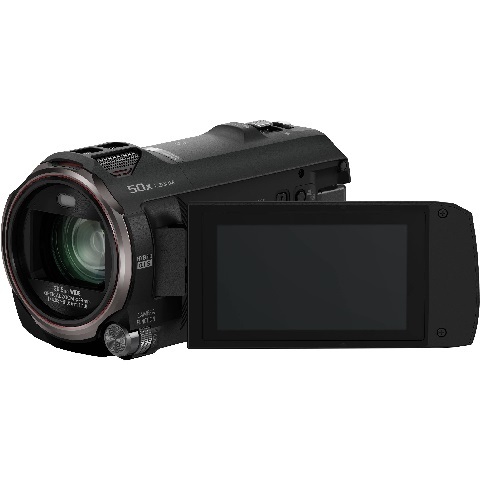 The camera can record resolutions up to 1080i60 or 1080p30, and can output HD video over HD-SDI. It also fully supports timecode and genlock, for professional-level broadcast applications. If you require 50 Mbps or higher bitrates, we suggest using an external recorder, or using a camera like the Sony Z100 or Sony FS7.The Sony EX3 offers a few advantages over the Sony EX1, including a removable lens, better ergonomics, and an improved LCD. It uses the same sensor and same picture profiles, so color matching between EX1s and EX3s is quite easy. Included in the kit is the PMW-EX3 body, Fujinon 5.8-81.2 mm lens, lens hood, two BP-u30 batteries, Sony charger/AC adapter with power cable, EX3 eyepiece, and 128GB of media (enough for more than eight hours of recording in highest quality). 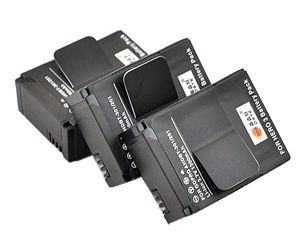 If you need to rent a battery or charger for your camera, recorder, microphone, mixer, or other gear, we can help. We offer extra rechargeable batteries and chargers for just about everything we rent. We only send out fully-charged batteries. Please give us a call if you have questions about battery capacity or run time. 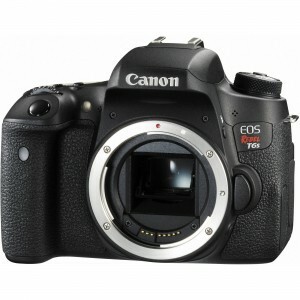 LP-E8 1 Canon $5 Fits T2i, T3i, T4i, etc. BP-U90 1 Sony $9 EX1, EX3, FS7, etc. We also sell single-use alkaline AA, lithium AA, and alkaline 9V batteries as expendables. If you have questions about what battery you need, just ask. Need a full DSLR kit on a budget? Our Canon T3i Budget Filmmaker Kit includes: A Canon T3i camera, 64GB of storage, a battery grip, four batteries, a Sigma 24-60mm f/2.8 lens or 18-135mm f/3.5-5.6 IS lens, Canon’s 55-250mm f/4-5.6 zoom lens, Canon’s 50mm f/1.8 prime lens, and your choice of video tripod or shoulder mount. We believe that everyone should have access to the tools to make great video. This kit is our most popular kit with weekend filmmakers, whether they are shooting 48 hour film projects or music videos. Like many video DSLRs, it’s great for anything with short takes (under 12 minutes). If your project needs audio, you’ll want to rent a field sound recording kit. We recently upgraded our RED Epic with a Dragon sensor, giving you more latitude and higher, 6K resolution. 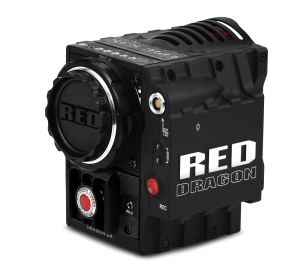 The Red Epic Dragon rental package includes the Red Epic brain (capable of capturing up to 100 frames per second at 6K resolution or 240 fps in 1080p HD) and just about everything else you need to get started shooting. Other rental shops may have the best price on individual components, but once you put your rental kit together, we guarantee ours is the best value out there! Batteries, media, matte box, filters, follow focus, plates, rails, clamps, and cables are all included. Just add lenses, a tripod, and an AC, and you’re good to go. Since we’re a small shop, we can’t rent the items a la carte, but we’re sure we have the best price in Milwaukee or Chicago for the complete Red Epic Dragon camera kit. And speaking of carts, we offer a large camera cart with mitchell mount for $95/day, perfect for any RED Epic rental.